Published Oct 2010 by Silver Buffalo LLC. 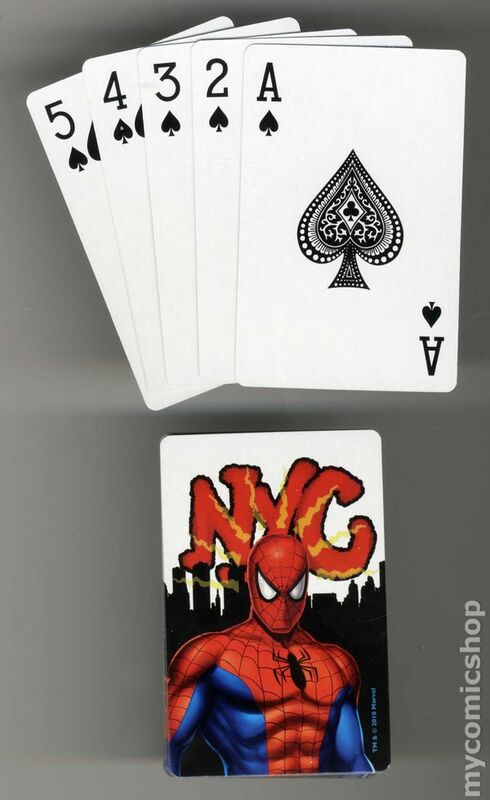 NYC - A deck of cards featuring your friendly neighborhood Spider-Man, protector of New York City - Perfect for the weekly poker tournament or that friendly game of gin. Includes a complete deck (52 cards) with 2 Joker Cards. Cover price $3.99.